Delve deeper into your taijiquan training and practice several international standard Pushing Hands routines. Tai Chi Pushing Hands trains you to develop sensitive feeling known as Listening Jin, so you can sense your opponent’s intention, neutralize their Jin (power), and then counterattack. 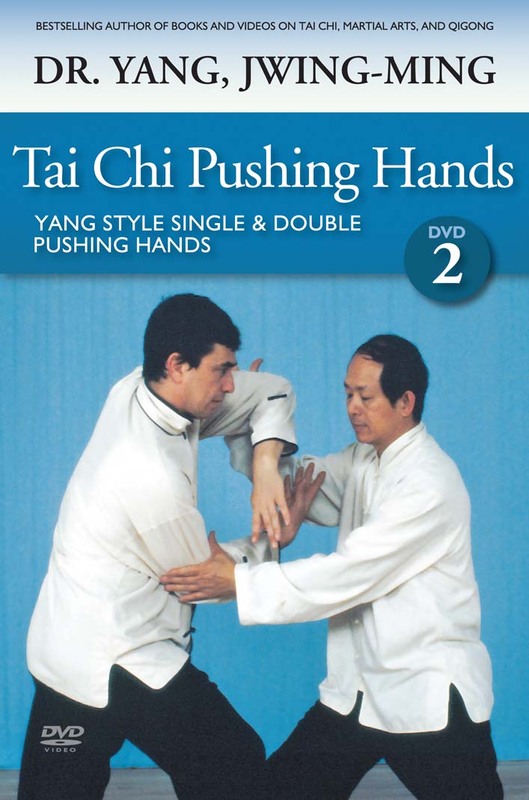 In this two-part program, Dr. Yang, Jwing-Ming clearly instructs the finer details of step-by-step Pushing Hands training, with an emphasis on understanding the emitting of Jin and its applications. This DVD will offer enough material for you to confidently engage Pushing Hands with friends and to compete in Pushing Hands competitions. Techniques are taught solo and with a partner, from basic to advanced.